Complete individualized evaluation and detailed discussion of the metabolic type, current mineral levels and ratios, and impact upon body chemistry. Recommendation of specific foods and food groups, along with an explanation of why each food is suggested. Includes 30 minute phone consultation to review report and answer questions. Hair mineral analysis is a highly sophisticated technical procedure performed by a licensed clinical laboratory using the latest state-of -the-art equipment. Hair mineral analysis provides an accurate screening device for determining mineral imbalances, deficiencies, or any excess of the essential minerals. In addition, and equally important, hair mineral analysis determines if toxic metals, such as lead, aluminum, and cadmium have accumulated in the body. This is possible due to the fact that hair is formed from clusters of matrix cells that make up the follicles. During the growth phase, the hair is exposed to the internal metabolic environment such as the circulating blood, lymph, and extra-cellular fluids. As the hair continues to grow and reaches the surface of the scalp, its outer layers harden, locking in the metabolic products accumulated during this period of hair formation. This biological process provides a blueprint of past and present nutritional metabolic activity. Minerals can be considered more important than vitamins in that they cannot be manufactured by the body. Minerals are the spark plugs in the chemistry of life. Without optimum mineral levels in the body, the other nutrients are not effectively utilized. 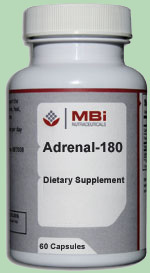 Minerals are also necessary in the production of hormones and for the proper enzyme activity. Hair analysis can identify malabsorption problems caused by the digestive disorders or lack of hydrochloric acid. For example, a disturbance in the absorption of protein, even though calcium is plentiful, can contribute to osteoporosis. This is because 97% of the bone matrix is made up of protein. How Does Hair Mineral Analysis Compare With Blood Analysis? Blood tests can only measure levels occurring at the time of testing. The levels fluctuate with the time of the day the blood sample is drawn, any foods eaten prior to taking a sample, and even emotional changes. The blood seeks to maintain its biochemical balance even at the expense of organ and body structures. 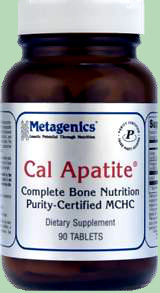 For example, a blood test will indicate normal calcium levels, even when the bones are demineralized. The metabolic dysfunctions that occur from mineral imbalances can be predicted even before abnormalities are detected in the blood. The hair is more indicative of long term and often short term exposure and provides a more permanent history of a person's intake, environmental exposure and other factors. What Can I Expect From My Hair Mineral Analysis? Methods to correct and reduce toxic metal accumulation in your body. Explanation of the results in an easy to follow format. 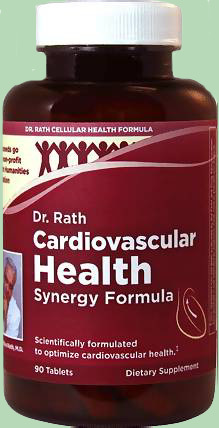 Nutritional and dietary program designed to rebalance your body chemistry. Phone consultation after the results are received. A hair sample is easily taken from the middle to lower back of the head, where the most recent hair growth has occurred. Approximately one heaping tablespoon of hair is needed to complete the testing. If hair is short, thinning scissors can be used to collect the proper amount. Simply place the scissors next to the scalp in the back of the head, and cut enough for the sample. where the most recent hair growth has occurred. it with hair, and then add just a little more. Step 3. Place hair sample in a clean envelope or zip lock bag. 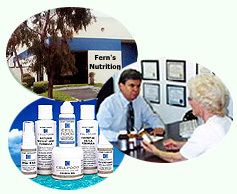 "Fern's Nutrition" or include a credit card number for payment. please call 800-229-3376. Ask for Ron. "Meeting the Needs of Today's Women", "Prevention of the Diseases of Aging", and "Advances in Clinical Nutrition".